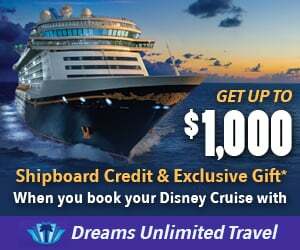 Discussion in 'Disney Cruise Line Forum' started by Wdw1015, Feb 5, 2019. First cruise coming up in August, check-in is late May. Do I need to have all of our flight and passport info at this time or can I go back and add it once I have that information? I’m just wondering what kind of time frame I’m working with. You can add it later. You have to answer those questions to get through the whole process and get to the point where you can select your Port Arrival Time. But if you don't have that information, put in "placeholder information" and then you'll have to go back and update it when you have the full information. You can reserve things like excursions, character greetings, and Palo/Remy meals without checking in at all, and I suspect this may have been the real question. Just remember to go back at some time and complete the check-in. People have been posting that they have been able to login the evening (7-8pm) their booking window opens to fill out all their travel information and pick your Port Arrival Time So at 12:01am ET you’re all set to book excursions and such. People have been posting that they have been able to login the evening (7-8pm) their booking window opens to fill out all their travel information. So at 12:01am ET you’re all set to book excursions and such. You can reserve excursions, etc. without entering any travel info that's part of the check-in so I'm not sure why anyone would bother doing that early. Maybe there's something I'm missing? For those of us that drive, the benefit is an early PAT. I logged in right at 7ET for the silver window for my cruise and got 10:30-10:45, by midnight when activities opened, the earliest time was 11:45-12:00. If you are flying that doesn't matter because your flight determines your PAT, but if you drive and want a low boarding number, you have to do it immediately. Gotcha - been Platinum long enough that I totally forgot about PAT! Just double checking on this since it’s only our second cruise- I can’t quite remember how it all worked last year. We can book excursions, etc on Feb 10. When will I be able to select my PAT? Does that open at midnight tonight? Or is that something I may be able to do earlier this evening? Is this at 7-8pm the night before the booking window opens? Yes. I was able to log in and enter / verify ID information, travel info, select PAT, etc. after 7 pm ET. I was able to select excursions, activities after midnight. A tip of the hat to whoever at DCL IT made this decision. The system was a lot more stable after midnight. The last time I tried this the system was experiencing lots of errors and crashes for about two hours. I'm guessing it was overloaded until people just gave up and logged off. That was not the case last summer for the Med. And in that case, you HAD to have a valid passport so there was no way around completing all that stuff first. That depends. If your passport information is already on file and still valid for at least 6 months after the cruise dates, you should not have to enter it again. I think the website has been updated since then and that's why it can now be done where it couldn't for you previously. Your correct information has to be in the system 3 days prior to sailing although some of it can be done even at check-in or modified at check-in. For some things you can even enter nonsense (like passport numbers if you don't have them yet or need to update them).